We're getting the word out! 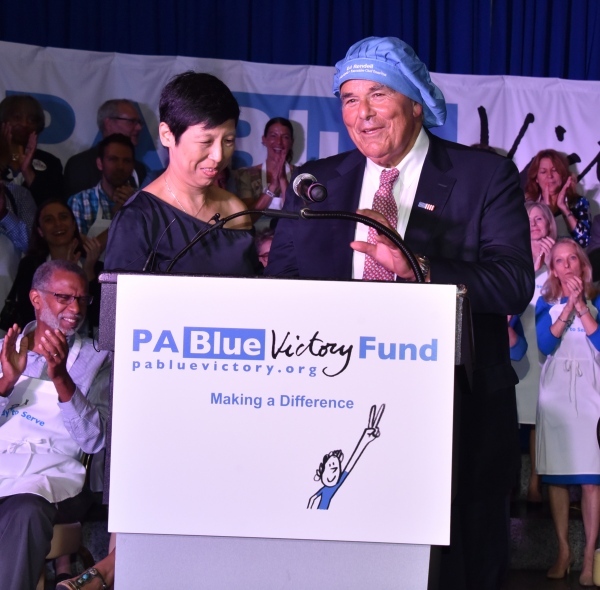 Read more about The PA Blue Victory Fund through our media coverage. The chef responsible for Philly’s first restaurant renaissance is back with a plan to use food to turn Pennsylvania blue. They're raising funds at the Franklin Institute to support Democratic state congressional candidates and grassroots organizations leading up to the midterm elections. On September 17th, 2018, The PA Blue Victory Fund presented The Blue Plate Special at The Franklin Institute. A group of Philly’s top chefs and Democratic state house and senate candidates teamed up to help turn Pennsylvania blue in the next few elections.